On August 2, 2018, the Fourth Circuit Court of Appeals decided Vandevender v. Blue Ridge of Raleigh, LLC., which addressed the required standards for a business to pay punitive damages in North Carolina. Blue Ridge Health Care Center (“Blue Ridge”) operated a nursing home with a “vent unit,” which is a “[s]pecial facility for ventilator-dependent patients.” According to North Carolina law, vent units must provide at least 5.5 hours of nursing care per patient per day, and “[t]he direct care nursing staff shall not fall below a registered nurse and a nurse aide I at any time during a 24-hour period.” However, in a conscious effort to cut costs and increase profit, Blue Ridge consistently failed to meet these requirements by understaffing the vent units with nurses and caretakers, and by not providing the proper bedside supplies for adequate care. As a result of understaffing in the vent unit or a lack of bedside supplies, Del Ray Baird, Bettie Mae Kee, and Elizabeth Jones all died in Blue Ridge’s vent unit. The Plaintiff estates filed suit against three Defendants: Blue Ridge; CareOne, the owner of Blue Ridge; and CareVirginia Management, which helped manage Blue Ridge. All of the former Blue Ridge employees who testified at trial actually testified for the Plaintiffs. Defendants, on the other hand, only had two witnesses, each of whom were expert witnesses. In the district court, a jury returned verdicts awarding both compensatory and punitive damages for each of the three Plaintiffs. The jury awarded compensatory damages in the amount of $50,000 for Plaintiff Baird, $300,000 for Plaintiff Jones, and $300,000 for Plaintiff Kee. In addition, the jury awarded each Plaintiff punitive damages of $1,523,939.16. The Defendants then moved for judgment as a matter of law. 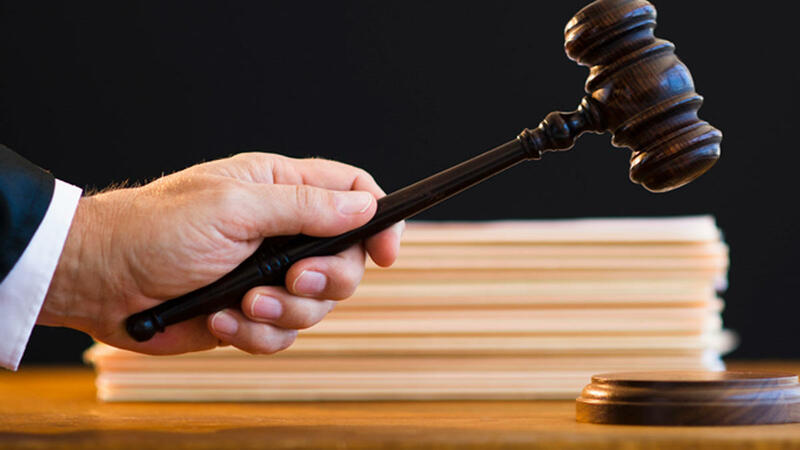 In supporting their motion, the Defendants argued that Plaintiffs failed to produce evidence of an aggravating factor, which is necessary for an award of punitive damages under North Carolina law. The Defendants also argued that the Plaintiffs failed to produce the necessary evidence to support a verdict in favor of Plaintiff Jones. The district court granted the motion as to Plaintiffs’ punitive damage awards; however, the district denied the motion as to the award of compensatory damages to Plaintiff Jones. The Plaintiffs appealed the grant of judgment for Defendants in regards to the punitive damages awards bringing the case to the Fourth Circuit. The Defendants then cross-appealed the denial of their motion regarding Plaintiff Jones’ award of compensatory damages. Under North Carolina law, a plaintiff can only recover punitive damages if the plaintiff proves that “the defendant is liable for compensatory damages and that one of [three possible] aggravating factors was present and was related to the injury for which compensatory damages were awarded.” Those three possible aggravating factors are “Fraud,” “Malice,” and “Willful or wanton conduct.” The Plaintiffs argued that the conduct of the Defendants’ managers did indeed constitute “willful or wanton conduct” as defined by North Carolina law. North Carolina law defines “willful or wanton conduct” as “the conscious and intentional disregard of and indifference to the rights and safety of others, which the defendant knows or should know is reasonably likely to result in injury, damage, or other harm.” The Plaintiffs did not assert that fraud or malice were present. The district court found two reasons why the Plaintiffs failed to present sufficient evidence to support an award of punitive damages. The district court’s first reason was that the “Plaintiffs failed to present evidence showing Defendant’s officers, directors, or managers participated in or condoned the asserted willful or wanton conduct.” The second reason the district court offered was that “even if such participation or condonation were assumed, Plaintiffs failed to present sufficient evidence to show they had the requisite state of mind to establish any aggravating factor.” As discussed below, the Fourth Circuit held that both reasons offered by the district court were in error. As to the Defendants’ cross-appeal regarding compensatory damages awarded to Plaintiff Jones, the Defendants argued that the evidence was insufficient for the medical malpractice claim regarding Elizabeth Jones’s death. Plaintiff Jones died when the caregivers were unable to replace her tracheostomy tube in a timely manner. The Defendants argued that the evidence was insufficient because it failed to show that there was a breach of the applicable standard of care by the caregivers who tried to replace Plaintiff Jones’ tracheostomy tube or that the acts or lack thereof of the caregivers proximately caused Plaintiff Jones’ death. First, the Court concluded the district court erred in finding Defendants’ managers did not participate in or condone decision-making that constituted an aggravating factor that would result in punitive damages. Under North Carolina law, companies are only liable for punitive damages if their “officers, directors, or managers . . . ‘participated in or condoned the conduct constituting the aggravating factors giving rise to punitive damages.’” Former Blue Ridge Administrator Ben McGovern clearly participated in the decisions to cut staffing and supplies, which was behavior that constitutes the aggravating factor “willful or wanton conduct.”  The Court considered five factors (“the Everhart Factors”) to determine whether McGovern was a “manager” and would subject Blue Ridge to punitive damages: “(1) the employee was designated a manager; (2) the employee had supervisory powers; (3) the employee gave input on hiring and firing decisions and participated in personnel meetings; (4) the employee set work schedules for other employees; and (5) the employee handled money.” Here, the Court found Ben McGovern satisfied every Everhart factor except handling money, and thus, he was a “manager” for the purposes of subjecting Blue Ridge to punitive damages. The Court next found Blue Ridge’s policy was to “[c]ut staffing to save money . . . .” While the district court found there was nothing in the record to show a corporate policy of cutting staff, the Fourth Circuit identified clear evidence in the trial testimony to make such a finding. For example, a former Administrator and a former Business Office Manager both left because of pressure to make cuts and because staffing was dangerously and obviously short. Furthermore, the Court found “[c]lear and convincing evidence that Defendants were fully aware of the dangerously inadequate staffing level . . . .” The Court noted that, “[i]n the medical context, a medical provider acts willfully and wantonly when she knowingly, consciously, and deliberately places a patient at risk of harm by acting contrary to known protocols and procedures.” The Court concluded that even though there was no “wicked purpose,” the staffing and supply cuts were “[a] deliberate corporate policy enacted to increase profits by millions of dollars.” Blue Ridge was repeatedly warned about the dangers of the staffing and supply cuts, but Blue Ridge failed to remedy the issues and even continued to make cuts and intensify the dangers. The Court declared, “[t]his is precisely the type of egregious conduct punitive damages are meant to deter.”  The Court also briefly rejected Blue Ridge’s argument and upheld the district court’s determination that there was sufficient evidence to show Blue Ridge breached the requisite standard of care by failing to provide adequate bedside supplies, which proximately caused Elizabeth Jones’ death. The next issue the Court addressed is whether Blue Ridge condoned willful and wanton conduct. This issue was easily resolved because the Court found “[c]lear and convincing evidence that the Defendants were fully aware of the dangerously inadequate staffing levels yet did nothing or worse.” Another issue was whether Blue Ridge had the necessary state of mind for their conduct to constitute an aggravating factor. The Court again found clear and convincing evidence that Blue Ridge “[e]ngaged in willful or wanton conduct by intentionally failing to follow federal and state laws on staffing . . . .” This conduct showed a “reckless indifference” to the patients, and thus the willful and wanton state of mind was satisfied. Further, the Court briefly addressed whether there was sufficient evidence to show Blue Ridge’s negligence proximately caused Elizabeth Jones’ death. It was clear that the inadequate staffing and failure to provide proper bedside supplies proximately caused Elizabeth Jones’ death, so that issue was quickly dispensed with. Lastly, the Court had to adjust the amount of punitive damages awarded in order to comply with North Carolina law. The jury awarded compensatory damages in the amount of $50,000 for the estate of Del Ray Baird, $300,000 for the estate of Elizabeth Jones, and $300,000 for the estate of Bettie Mae Kee. The jury also awarded $1,523,939.16 in punitive damages for each plaintiff. However, North Carolina law limits punitive damages to three times compensatory damages, or $250,000, whichever is higher. In accordance with North Carolina law, the Fourth Circuit reduced the award of punitive damages to $250,000 for the estate of Del Ray Baird, $900,000 for the estate of Elizabeth Jones, and $900,000 for the estate of Bettie Mae Kee. 901 F.3d 231(4th Cir. 2018). 10A N.C. Admin. Code 13D.3005 (1996). Vandevender, 901 F.3d at 235. N.C. Gen. Stat.§ 1D-15 (2017). Vandevender, 901 F.3d at 239. N.C. Gen. Stat. § 1D-5(7) (2017). Id. at 238 (quoting N.C. Gen. Stat. §1D-15 (2017)). Id. at 238 (quoting Everhart v. O’Charley’s Inc., 683 S.E.2d 728, 738 (N.C. Ct. App. 2009)). Id. (quoting Clarke v. Mikhail, 779 S.E.2d 150, 160 (N.C. Ct. App. 2015)). Id. (citing N.C. Gen. Stat.§ 1D-1(1995)). Id. at 237 (citing N.C. Gen. Stat. §1D-25 (2017)). « Judges of the Fourth Circuit – Hon. Francis D. Murnaghan, Jr.